If your business address no longer fits your business needs, it’s time to move. The decision to move is easy enough to take, the process involved, however, is daunting. Rather than letting all of the planning weigh you down, leave all your worries behind and let us take care of everything. We have years of experience in moving all types of commercial, industrial and manufacturing businesses. Our goal is to provide you with a service that is fast, efficient and meticulous. Our detail-oriented approach will ensure that your equipment, data and valuables will arrive at your new destination in proper order and in an organized manner. This will allow your company to quickly adapt to the new surroundings and continue working without a hitch. This dedication makes us the top office mover in Dallas. No matter the size our commitment is huge. We are here to serve you! Whether you are a company made up of thousands of employees or a small office of five, you will be privy to the same level of professionalism throughout the move. 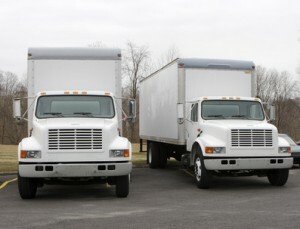 If you are only moving a few blocks away, or are relocating over seas we can handle it. Our expert packers can remove the entire burden and do all the grunt work for you. You won’t even have to lift a finger. We can also disassemble and reassemble all of your equipment. Whatever your needs are we can accommodate. Our customer service is the best among all the office movers in Dallas. We are not satisfied until you are happy. Now that you have an idea of what we can do, you should ne aware of how we do it. The first step is a pre-move survey. If you want to have an idea of cost and required time this is an essential step. This step will also involve getting an idea of the desired layout at the new location. We would not be very efficient if we just dropped everything haphazardly at the new location. Once we know what we are taking away, where it has to go and where we have to put it we can move onto the next step in the plan. We will come up with a detailed packaging and labeling strategy that will ensure the move is efficient. We will also make sure that all facility coordination, like securing access to the buildings, elevators and street access, are taken care of prior to the move. These are the details that make our company stand tall among the other office movers in Dallas. that your cargo will arrive without mishap or damage of any kind. Just getting your items to their new destination is not want makes us the best office mover in Dallas. Our belief is that getting everything to the new address is less than half of our responsibility to our client. What good is a move to a better environment of it takes you a week or two to get unpacked and get your workplace set up and functional again. Our commitment to you goes beyond the move. We will take the same detail oriented approach to unpacking your goods. We will rebuild the furniture if required, place dividers, computers, lamps, even plants if need be. If your set up goes beyond what we can do ourselves, if it involves extensive plumbing or electrical work, we can coordinate with the necessary experts to ensure that everything happens on the day of the move. We realize that every hour your company is inoperative is a loss in potential revenue. We will do what we can to make sure that this down time is kept to a minimum and the money keeps flowing. Questions? Well here are a few answers. * Can I pack my own goods? We are well aware that not every company wants the full service move. Many companies, and offices, deal with sensitive material that they want to take care of themselves. There is also the further concern of budget allocated to the entire moving experience. You can solve these issues by doing your own packing and unpacking. We will provide labeling and packing tips if you desire. * What should I expect on the big day? When you choose to work with us as your office mover in Dallas, you are choosing a partner rather than a hired hand. We will provide you with a personalized timeline, which will ease your mind on the chosen day, which will likely be stressful already. * If I do pack myself can you provide the necessities? We are partners in this, right? As such, you will have access to all of our packing supplies if you so desire. We do suggest that you make use of these professional supplies, as they will help ensure that your goods will arrive safe and sound. We will give you instruction on the proper use of all of our supplies to help you work in an efficient manner. There are very few things in the life of your business that are as important as an office, warehouse, or manufacturing center move. The need to move is usually obvious but the actual move is often put off, as the process involved often seems overwhelming. There is no need to feel this way. We are here to take all your fears away and make the move seamless and stress free. 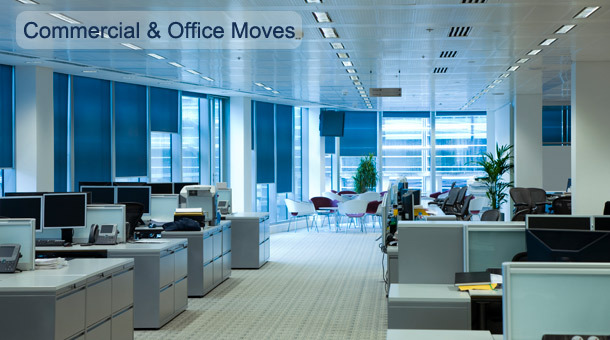 There are quite a few office movers in Dallas, but which one you choose will play a vital role in the immediate future of your company. If you choose wrongly you may be mired in weeks of unpacking, placing and settling into your new surroundings. I cannot speak for the others, but rest assured if you choose us, the only thing you will have to worry about is why it took you so long to decide to move! We are a professional nationwide movers with great experience in long distance moves. Our employees are full time trained and experienced movers that are courteous and hard workers. We based our company on integrity and excellence in an industry which is well known for its lack of professionalism. We are here to serve you and make your next move your best move ! Long distance moves from one place to another is something that you might not escape in yo. Royal Moving and Storage can provide storage solutions for any kind of move, Residential o.